How to Setup Remote Access? Some of us are familiar with this scenario. You’re enjoying the rest of your day off when a call suddenly interrupts: “Something’s wrong with my PC.” Your first instinct is to drive to your client or your family member’s location to check and solve the problem first hand. However, before you decide to go, it’s worth checking if the problem can be addressed using remote access. In today’s article, we’ll show you how to setup remote access using remote access software, Windows RDC, and a Virtual Private Network. Remote access software is a technology that allows a local computer to connect to and control a remote PC at a distance. It establishes connectivity between two or more computer nodes in different geographical settings. Once the connection is established, the local computer user can now access and control the remote PC as if he’s physically present in front of it. From there, he can perform certain administrative tasks a person sitting in front of the remote computer can. What are the Benefits of Remote Access? How to Setup Remote Access Benefit 1: Flexibility – One of the benefits of remote access is flexibility. It allows you to work and accomplish given tasks from anywhere at any time. It doesn’t matter if you’re working from home, libraries, cafes, or even parks. As long as you have the right resources, you can still meet any work requirements and deadlines effectively. How to Setup Remote Access Benefit 2: Productivity – Remote access ensures that business functions are still pushed through no matter what the situation is. The thing with business emergencies is that they don’t care if it’s your day off or you’re on leave. With remote access, you can still stay productive while enjoying the rest of you outside-of-work activities. How to Setup Remote Access Benefit 3: Cost-Effective – Remote access allows you to save big on time, money, and effort. Let’s say you have a client who lives 10 miles away from you. Instead of driving to your client’s location, you can just so work on his or her issue from your own home or office. This will allow you to save money that will be spent on travel expenses. There are a bunch of remote access software available in the market as of the moment. With the growing demand for remote functions these days, more and more people are starting to rely on the benefits remote access provides. Some remote access software can be purchased for a specific amount of money, while others are completely free of charge. It will all boil down to the kind of service you’re looking for for a remote access software. Just like any other computer software, remote access software needs to be downloaded and installed on both the local and remote computers first. The local computer will need to have the right credentials in order to connect to the remote device successfully. Once authenticated, the local computer user can now access and control the remote computer from anywhere at any time. How to Setup Remote Access Step #1: Launch the Start Window. How to Setup Remote Access Step #2: Type in Remote Access. How to Setup Remote Access Step #3: Select Allow remote access to your computer. How to Setup Remote Access Step #4: Click on Allow remote connections to this computer on the System Properties window. How to Setup Remote Access Step #5: Click the OK button. It is important to note that the steps indicated above work perfectly fine on Windows 7, 8, and 10. However, Windows RDC generally works on the same network only. If you need to connect to a remote computer on a different network, you can either use a remote access software or establish a Virtual Private Network (VPN). Another way of setting up remote access is through a Virtual Private Network or a VPN. If you establish a VPN, you don't necessarily have to expose your computer directly to the internet. The good thing about a VPN is that it allows users to connect to a private network from anywhere in a secure manner. Since you’re not exposing your computer directly to the internet, you are also preventing your computer from falling victim to a bunch of threats and security risks found on the internet. In a fast-paced environment we have today, remote access can be your best ally. Not does it only allow you to accomplish tasks a lot faster, but it also enables you to maximize your work efficiency and productivity. Now that you know a few ways on how to setup remote access, it’s time for you to add it to your own work functions. Get Up and Running for Free! Does How to Remote Access Setup is helpful? 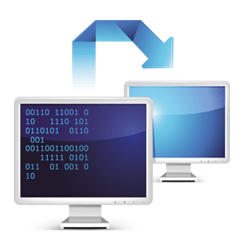 What is Remote Desktop Connection?